Conservative Leader Andrew Scheer says universities who fail to protect free speech should face funding cuts. During an event at Ryerson on Monday night, Scheer repeated arguments he’s made in the past about free speech on campuses. He weighed in on Ryerson’s soon-to-be free speech policy during a talk hosted by the campus Conservatives club. “It’s a challenge to the academic principles themselves if you consistently have events getting cancelled, speakers getting disinvited,” said Scheer. In the spring of 2017, Scheer was campaigning to strip universities of federal funding if they failed to protect free speech on campus — a year before Ontario Premier Doug Ford won the Conservatives’ provincial party leadership. Ford has since then taken up the same cause, ordering universities to rewrite freedom of speech policies. Scheer said he’s met with some university presidents from across the country who were welcoming of his ideas. Scheer also said they would accommodate the fact that not everyone has the right to access a campus. Ryerson has had a long-standing policy on unauthorized entry to the campus, outlined in its code of non-academic conduct. It states that students shall not enter, use or let someone else use non-public areas of the university without permission and must leave those premises if asked to do so by authorized university staff. When he first announced his plan for universities, however, Scheer said he was met with backlash from groups who told him he was out of his jurisdiction. This backlash has now been directed at Ford, who said in September that colleges and universities will either submit free speech policies by January, or face funding cuts. Ford’s announcement has put a spotlight on Ryerson’s freedom of expression draft statement. Ryerson president Mohamed Lachemi adjourned a senate meeting earlier this month after the Black Liberation Collective (BLC) and Indigenous Students Rising (ISR) protested the university’s draft statement on freedom of expression. The disruption delayed the senate’s vote on the draft, which, if passed, would have been sent to the Board of Governors to form policy. The protesters said Ryerson’s statement on freedom of expression would not only allow racists and right-wing extremists to speak on campus, but prevent oppositional groups — including marginalized groups — from disrupting events by penalizing them with disciplinary measures, including expulsions. The university has since continued its consultation process with students and faculty, according to Lachemi. Ryerson could not confirm if they’ve met with Scheer regarding their free speech policy. 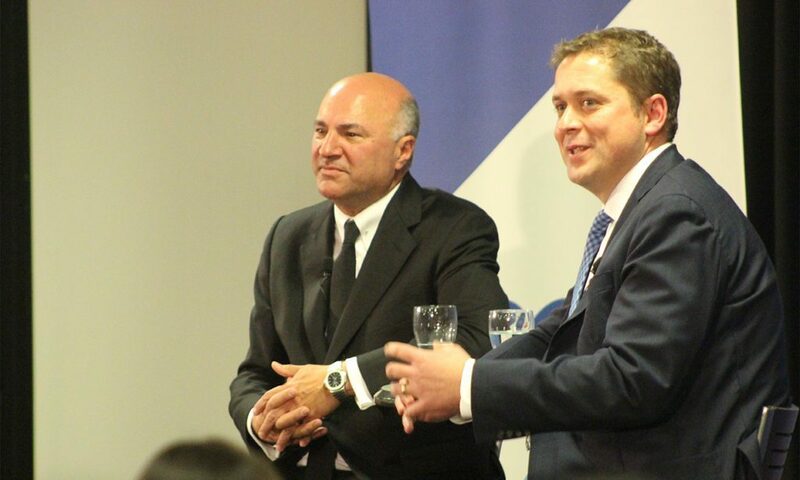 Scheer, with the help of television personality and businessman Kevin O’Leary, is campaigning to become the next prime minister of Canada. The deadline for Ryerson to form its free speech policy is Jan. 1, 2019.